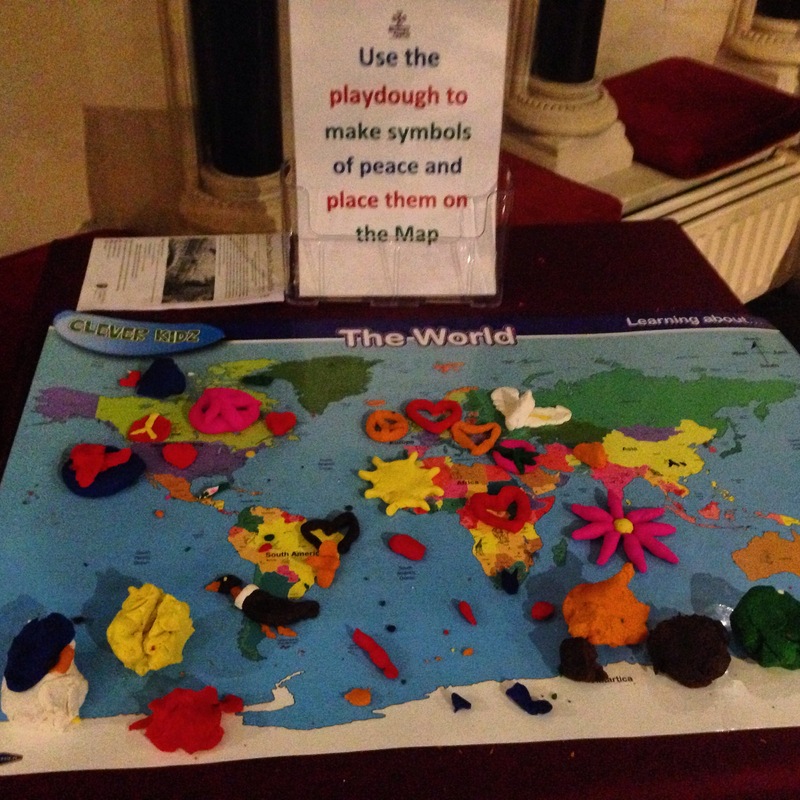 Earlier this month we held a Vigil for Peace in Christ Church Cathedral. 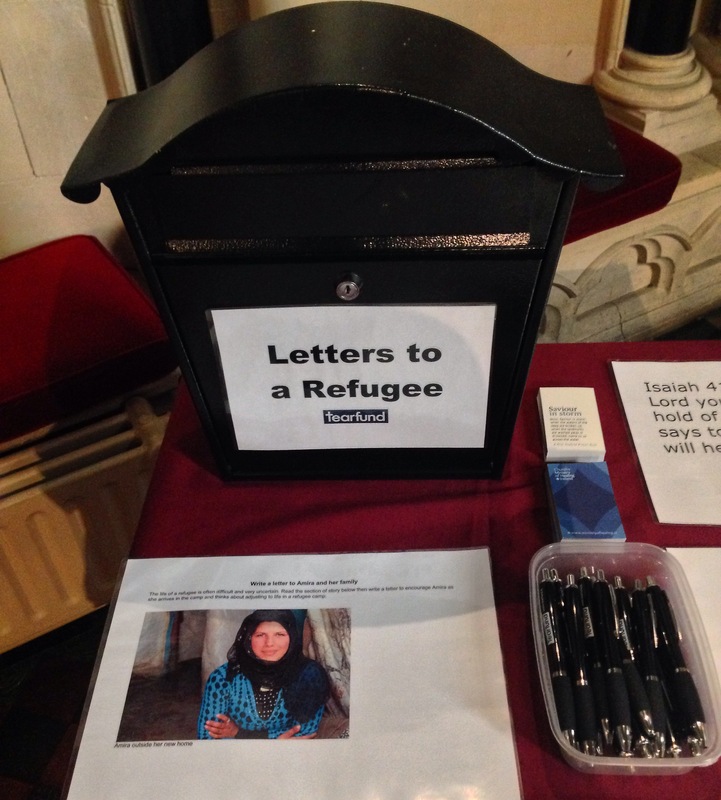 We prayed for peace in Syria and other countries, and for the many refugees coming to Europe. We are aware that some of you wanted to be there but due to your commitments you were not able to join us in person. Perhaps you joined us in prayer in your workplace, while commuting during the working day, or in whatever situation you found yourself that day. Know that all of our prayers were joined together and like incense they went before God. 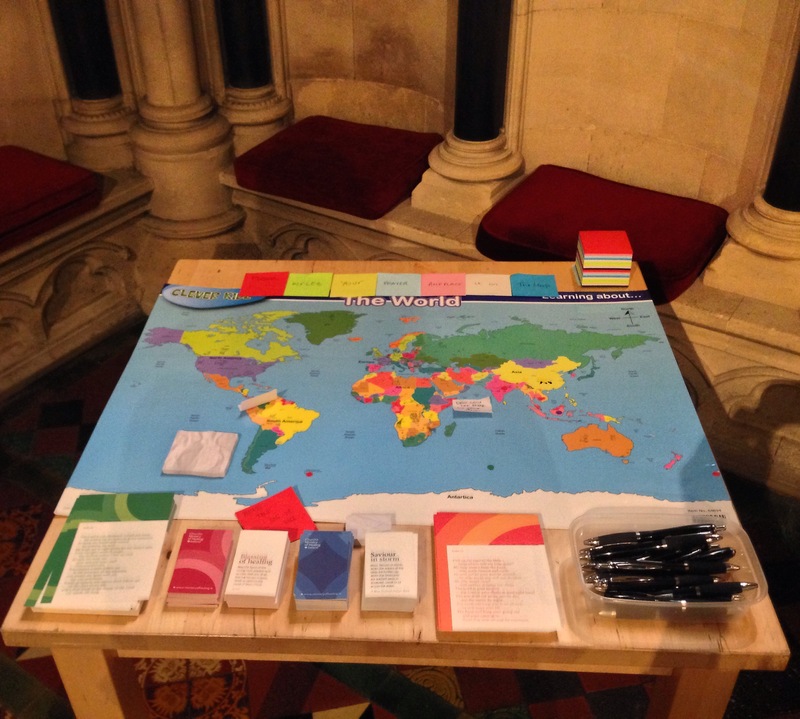 We will share here on our website some of the prayerful reflections that participants offered on the day. We hope that these heartfelt words will spill over to wherever you are and enrich you too, as well as inspire all of us to keep praying. The Vigil for peace was like a lighthouse where we gathered together to pray for peace, and its light is reminding us that prayer is still needed, for the plight of the refugees is ongoing. 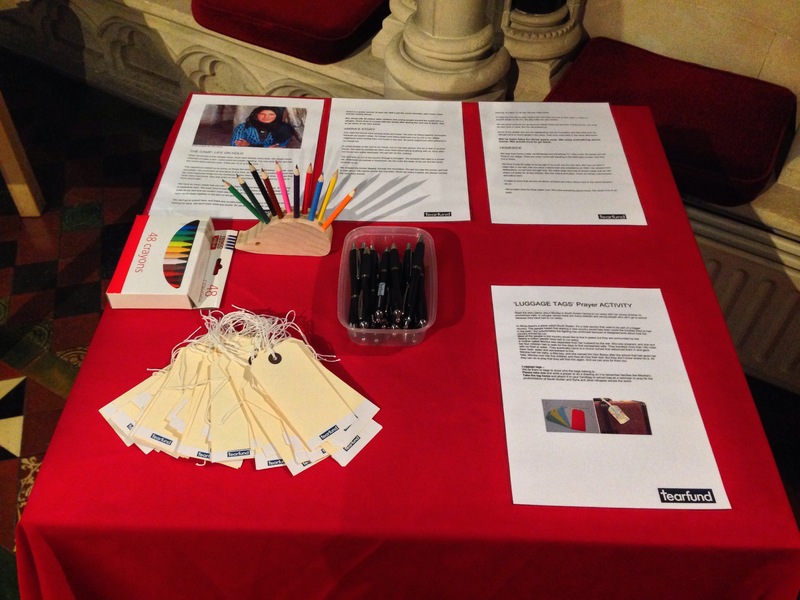 During the day we had interactive prayer stations in the Lady Chapel at the back of the Cathedral to help us engage with prayer in a creative way. We are very grateful to Emma Lynch from Tearfund Ireland, Lydia Monds from the Bishops’ Appeal and the Rev. Abigail Sines for helping us set these up. Visitors and participants found it a very useful tool; the prayer stations were hardly without someone roaming around and praying there. Below you can see images of some of the prayer stations.